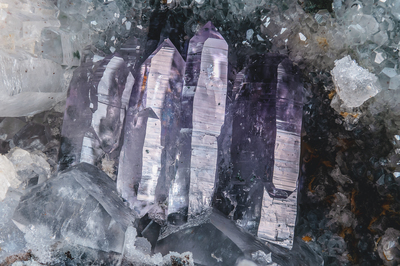 Parallel association of quartz crystals of amethyst color, grown on calcite crystals, light green. In paragenesis there are also yugawaralite crystals, not present in this photo. Collection and photo of Gianfranco Ciccolini. Nikon D750, bellows, Luminar 40 mm.